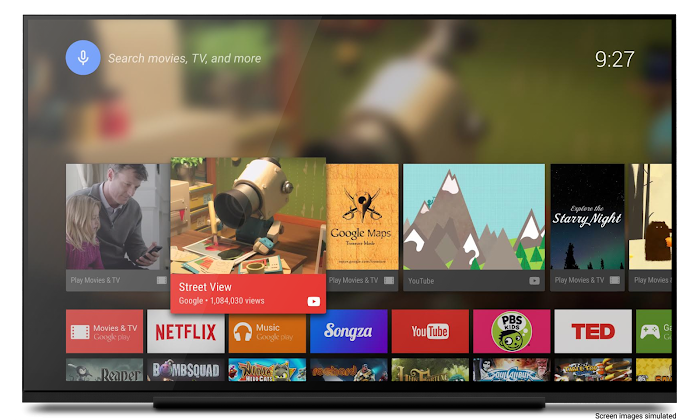 At Google I/O last June, we gave you an early version of Android 5.0 with the L Developer Preview, running on Nexus 5, Nexus 7 and Android TV. Over the course of the L Developer Preview program, you’ve given us great feedback and we appreciate the engagement from you, our developer community. Thanks! 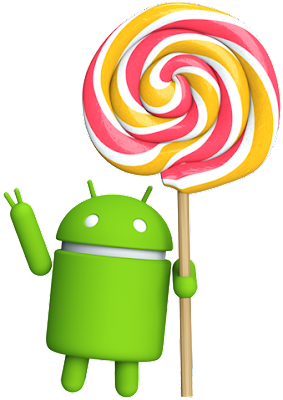 This week, we announced Android 5.0 Lollipop. Starting today, you can download the full release of the Android 5.0 SDK, along with updated developer images for Nexus 5, Nexus 7 (2013), ADT-1, and the Android emulator. The first set of devices to run this new version of Android -- Nexus 6, Nexus 9, and Nexus Player -- will be available in early November. In the same timeframe, we'll also roll out the Android 5.0 update worldwide to Nexus 4, 5, 7 (2012 & 2013), and 10 devices, as well as to Google Play edition devices. Therefore, now is the time to test your apps on the new platform. You have two more weeks to get ready! 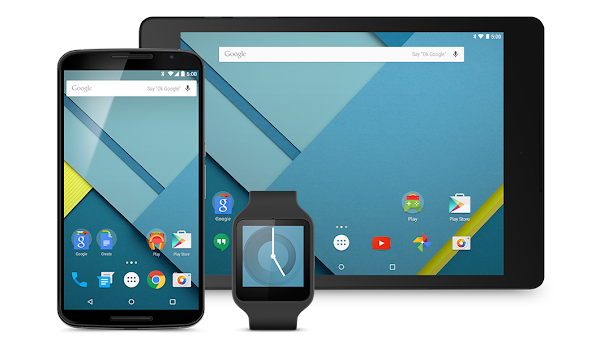 There's much more, so check out the Android 5.0 platform highlights for a complete overview. What’s in the Android 5.0 SDK? The Android 5.0 SDK includes updated tools and new developer system images for testing. You can develop against the latest Android platform using API level 21 and take advantage of the updated support library to implement Material Design as well as the leanback user interface for TV apps. Android 5.0 system image over the air (OTA) update for ADT-1 Developer Kit. OTA updates will appear over the next few days. For the developer preview versions, there will not be an over the air (OTA) update. You will need to wipe and reflash your developer device to use the latest developer preview versions. If you want to receive the official consumer OTA update in November and any other official updates, you will have to have a factory image on your Nexus device. Get the emulator system images through the SDK Manager or download the Nexus device system images. Recompile your apps against Android 5.0 SDK, especially if you used any preview APIs. Note: APIs have changed between the preview SDK and the final SDK. Validate that your current Android apps run on the new API 21 level with ART enabled. And if you use the NDK for your C/C++ Android apps, validate against the 64-bit emulator. ART is enabled by default on API 21 & new Android devices with Android 5.0. Once you validate your current app, explore the new APIs and features for Android 5.0. Android 5.0 Lollipop introduces Material Design, which enables your apps to adopt a bold, colorful, and flexible design, while remaining true to a small set of key principles that guide user interaction across multiple screens and devices. After making sure your current apps work with Android 5.0, now is the time to enable the Material theme in your app with the AppCompat support library. For quick tips & recommendations for making your app shine with Material Design, check out our Material Design guidelines and tablet optimization tips. For those of you new to Material Design, check out our Getting Started guide. Get your apps ready for Google Play! Starting today, you can publish your apps that are targeting Android 5.0 Lollipop to Google Play. In your app manifest, update android:targetSdkVersion to "21", test your app, and upload it to the Google Play Developer Console. Starting November 3rd, Nexus 9 will be the first device available to consumers that will run Android 5.0. Therefore, it is a great time to publish on Google Play, once you've updated and tested your app. Even if your apps target earlier versions of Android, take a few moments to test them on the Android 5.0 system images, and publish any updates needed in advance of the Android 5.0 rollout. Stay tuned for more details on the Nexus 6 and Nexus 9 devices, and how to make sure your apps look their best on them. We also announced the first consumer Android TV device, Nexus Player. It’s a streaming media player for movies, music and videos, and also a first-of-its-kind Android gaming device. Users can play games on their HDTVs with a gamepad, then keep playing on their phones while they’re on the road. The device is also Google Cast-enabled, so users can cast your app from their phones or tablets to their TV. If you’re developing for Android TV, watch for more information on November 3rd about how to distribute your apps to Android TV users through the Google Play Developer Console. You can start getting your app ready by making sure it meets all of the TV Quality Guidelines. If you haven’t had a chance to take a look at this new version of Android yet, download the SDK and get started today. You can learn more about what’s new in the Android 5.0 platform highlights and get all the details on new APIs and changed behaviors in the API Overview. You can also check out the latest DevBytes videos to learn more about Android 5.0 features. Enjoy this new release of Android!